3 How high-impact is it to work as a congressional staffer? 3.5 Overall, how big an impact can staffers have? 7 Is congressional staffing right for you? 7.1 What is it like day-to-day? 7.2 What traits do you need to do well in this career? 8 How does it compare to other related options? 9 How do you get in? 9.1 What background do you need? 11 How do you excel and have impact once you’re in? 11.1 Where should you aim to work in the long run? 11.2 How should you build career capital on the job? Despite being less well known than Members of Congress, congressional staffers have considerable influence on US government policy. Pete Rouse, former chief of staff to Senate Majority Leader Tom Daschle, was so influential that he was nicknamed the 101st Senator. Some committee staffers can influence how impactfully tens of millions of dollars are spent, as well as influencing the drafting of laws and the oversight of government agencies. Because the government acts on a variety of high priority problems ranging from nuclear war to the risk of pandemics, congressional staffers can use their influence to have a large social impact. As well as gaining influence, congressional staffers build excellent career capital for future policy careers. Staffers often go on to work in the executive branch and sometimes become directors of federal agencies. For instance, George Tenet started as a legislative assistant and eventually became Director of Central Intelligence; overseeing all 16 agencies of the US intelligence community. In this career review, we’ll cover how much impact it is possible to have as a staffer, who it would suit, and how you can get one of these positions. As a congressional staffer you’ll be able to improve how the government uses its enormous power, while also building knowledge of how Congress works and the network to go with it. While some senior positions in the executive branch might be more impactful, Congress is a good place to start out, especially if you don’t have a master’s in policy, security studies or international relations. US citizenship usually required, willing to join a political party and work on policies you might disagree with, able to develop strong networking skills, able to handle long hours, stress, and the frustrations of working in a slow moving system. Talk to congressional staffers to learn more. Start making connections as soon as possible, perhaps by moving to Washington DC. Apply for internships and fellowships in Congress, the White House, and relevant federal agencies. We spoke to a current congressional staffer, a former congressional intern, and two senior federal employees, one of whom was a former congressional staffer. We read several books and articles, the most helpful of which were: Taking the Lead: Congressional Staffers and Their Role in the Policy Process, Act Of Congress: How America’s Essential Institution Works and How It Doesn’t, The Waxman Report: How Congress Really Works, and The Effects of Congressional Staff Networks in the US House of Representatives. This was in the context of our long-term investigation of politics and policy. Congressional staffers work for congressional committees or individual members of the US Senate and House of Representatives. There are lots of different roles such as communication, administration, and supporting constituents, but this profile will focus on staffers who work on legislation, because we think they have the best opportunities for impact. Personal staff, who work for an individual senator or representative. Committee staff, who work on congressional committees. Leadership staff, who work for congressional leaders such as the Speaker of the House. Start by working on personal staff, which you can do after college. In your first role you’ll probably do administrative work and help constituents. After about one to two years you’ll often be able to move into legislative work. As you get more senior and have established strong connections with the right individuals, you might be able to move on to committee staff or leadership staff. Start by getting experience in a policy area – you could get a master’s or PhD, work in a relevant industry, or work in other parts of government. You can then use this experience to get more senior congressional staffer positions. You can also combine these two routes by working as a staffer straight after college, then leave to get more policy expertise before coming back at a more senior level. Later in your career you could get senior positions in federal agencies or run for office. How high-impact is it to work as a congressional staffer? The government can have a big impact on pressing problems. Staffers’ work shapes the actions of congress. Congress can have a big impact on how the government tackles pressing problems. It’s possible for people who are focused on impact to do more good than the typical staffer. The US government can have a big impact on pressing problems, both because these problems overlap with existing government priorities and because the government can do things that other organisations can’t. AI safety and public policy: Although there is no dedicated department, the US government has started doing some work related to AI safety. The White House Office of Science and Technology Policy wrote a report on Preparing for the Future of AI. DARPA has a program on explainable AI, which is a component of AI safety research. The Department of Defense has created a Joint AI Center. And as AI becomes more important, the government will likely become more involved and its actions may determine whether the U.S. avoids an AI arms race with China. Nuclear security: The US has the world’s most powerful military and the second biggest stockpile of nuclear weapons.3 Federal agencies such as the Department of Defense, the Department of Energy, and the State Department are important for preventing nuclear catastrophe. The government also plays a major role in many other crucial global issues, from international development to climate change to factory farming. Regulate other organisations to prevent them from doing harmful things. Take diplomatic or military action, which could help avoid conflicts or help countries coordinate to deal with dangerous new technologies. Get information that others don’t have, for example, information from intelligence agencies that could help prevent a bioterror attack. Spend more money than other organisations can. Use combinations of these powers, such as building a better system for dealing with outbreaks using money, regulation, and the expertise of the Centers for Disease Control and Prevention. Because of these unique capabilities, government action can be necessary to solve certain problems. For example, companies and nonprofits can’t take formal diplomatic action to prevent a nuclear war. Conversely, government action can exacerbate or create new problems, so working to avoid policies that could worsen important problems can also be impactful. The impact of the US government can be particularly large because it’s so powerful. It controls a budget of about $4 trillion, has the world’s strongest military, and makes laws that govern over 300 million people, along with some of the world’s most successful businesses, universities, and nonprofits. Is becoming a congressional staffer a good way to improve what government does? Staffers have a low public profile, but this belies their influence. They are heavily involved in making legislation, from developing initial policy ideas to drafting laws. As their career progresses they build relationships with some of the most powerful people in government and become relied upon for their expertise on both policy topics and legislative know-how. Among other impacts, we think that some senior committee staffers are able to shift hundreds of millions of dollars to high-impact programs. There isn’t much evidence on the role staffers play in legislation so we’ve had to rely on interviews, journalistic or biographical accounts, and a small number of academic studies. Because of this, our conclusions could change with more evidence. If you choose to become a congressional staffer, make sure you keep thinking carefully about whether you’re having the impact that you expected. Staffers work on all stages of developing legislation. Their level of involvement suggests that they can shape it significantly, although they have to work within limits set by legislators. Given the complexity and scope of activities undertaken by members’ offices, it would be impossible for legislators to monitor all the activities of their staff closely or to operate effectively without the assistance of staff. Press accounts and past research make clear that staffers are given significant responsibilities and enjoy substantial autonomy … That is, while staffers are responsive to members, they also exert considerable independent influence. As well as shaping legislation itself, staffers have many other ways of influencing policy. They make voting recommendations to legislators, they help choose who should testify before congressional committees, and they write questions and statements for legislators to use in hearings. A staffer can also exert influence beyond their own individual member’s office or committee, to other staff in other offices/committees (typically of the same party) that come to trust the staffer’s expertise and opinions. Not only are staffers heavily involved in creating legislation, but legislators rely heavily on staffers’ prior expertise and ability to find new information. This gives staff a lot of influence. We can see this in the career of Julie Chon, who spent six years in finance before moving into policy and eventually becoming a Banking Committee staffer. She worked with Senator Dodd, who was sponsoring legislation to improve regulation after the 2008 financial crisis. Staffers also strongly influence which outside experts get to present to legislators and other staff. Julie Chon did this when she got to know academics and financiers who had ideas on how to prevent a future financial crisis. She knew she’d need to find the right people to convince her colleagues and chose two experts to present to Senators and staff. They contributed to the case for strong regulation of derivatives, something that was included in the draft bill written shortly after they gave their presentations.11 This regulation became an important part of the 2010 Dodd-Frank Act, the most significant change in financial regulation since just after the Great Depression. lobbyists connected to US senators suffer an average 24 percent drop in generated revenue when their previous employer leaves the Senate. The decrease in revenue is out of line with pre-existing trends, it is discontinuous around the period in which the connected senator exits Congress, and it persists in the long term. Measured in terms of median revenue per staffer-turned-lobbyist, this estimate indicates that the exit of a senator leads to approximately a $182,000 per year fall in revenues for each affiliated lobbyist. We also find evidence that ex-staffers are less likely to work in the lobbying industry after their connected senators exit Congress. We regard the above findings as evidence that connections to powerful, serving politicians are key determinants of the revenue that lobbyists generate. Given that revolving door lobbyists are influential and their influence is based on the relationships that they built when they were working in congress, we think that staffers who are still working in Congress will have a similar or greater influence based on their relationships with legislators. This argument is further supported by the fact that some lobbying companies have been paying their staff six-figure bonuses shortly before taking jobs as staffers for congressional leaders, such as the Speaker of the House, or the Majority Whip.15 They must think that having their former employees in these positions will enable them to influence policy. We’ve seen that staffers play a big part in congressional decision-making, but they can only have an impact if Congress can influence how the government tackles pressing problems. Firstly, Congress has a lot of power over what federal agencies do. Much of this power comes from members’ ability to pass legislation that sets agencies’ rules and budgets. The members have fine-grained control – they can start or stop funding for individual programs within agencies. Reauthorises a fund for procurement and R&D of medical countermeasures. Requires the National Health Security Strategy to include plans to improve how health systems respond to emergencies. Enables the Food and Drug Administration to approve medical products more quickly in an emergency. Congress also has the power of oversight. Congressional committees can investigate issues to identify problems which might need legislation to solve them and they can also investigate the actions of the executive branch. This can both influence what federal agencies do and also influence the wider discussion around a policy area. As well as having power over federal agencies, Congress can pass laws regulating other actors that might be important for pressing problems such as businesses, nonprofits, and academia. From reading the accounts of legislative successes in the book The Waxman Report, we get a similar impression. Successes such as tobacco regulation and food labelling standards required years and sometimes decades of effort, combining multiple tactics, including using the media, negotiating with interest groups, making legislation, and holding hearings. Although Congress has a lot of power, it does have significant limits. It is curtailed by many forces such as public opinion, the views of the two parties, the constitution, existing laws, and the actions of the executive and judicial branch. But in spite of these restrictions we think Congress still has a large impact. Having influence is a double-edged sword. If you use your position poorly, then you might make things worse than they would have been otherwise. It’s easy to go wrong in policy, because it’s hard to know what truly makes things better and policy can have unintended consequences. This is especially disturbing if you end up working on critical problems such as preventing pandemics or nuclear crises. But we still think it’s often high-impact to pursue this work. The government will be better run if there are more talented and altruistic people who want to work as congressional staffers. It’s even better if you have a clear ‘edge’ that will allow you to do more good than a typical staffer. For instance, you might be able to give more evidence-based advice, contribute specialist knowledge, or pay more attention to the effect of policies on the long-term future. We discuss some ways to gain an ‘edge’ in our profile on the UK civil service. Overall, how big an impact can staffers have? In our conversations with government employees, we heard about multiple times when individual staffers on an appropriations committee increased or decreased a federal agency’s budget by ~$100 million or more.17 A senior government employee we spoke with thinks that increasing the budget of great government programs by $100 million is equivalent to moving ~$50 million to similarly promising programs outside of government. Overall, this suggests that if you’re a staffer on a committee relevant to a high priority problem area, it may be possible to do good that’s of similar value to moving tens of millions of dollars to the best programs in your area. Of all the careers that we’ve looked into, these are the largest numbers for money moved that we’ve come across (outside of other government careers). Our guess is that committee staffers can influence more money than foundation program officers, who can influence up to $10-20 million per year,19 and quantitative traders, who in the best case scenarios make around $10 million per year20. Although staffers are limited in the types of programs they can move money into, their impact extends beyond influencing budgets, and they gain career capital for other high-level government jobs with even more influence. Being a congressional staffer builds valuable knowledge and skills and can lead to other influential policy careers. As mentioned above, Pete Rouse was a highly influential Congressional staffer, nicknamed the 101st Senator, when he served as Chief of Staff for Tom Daschle, the Senate Majority Leader. When Daschle retired, Rouse became Chief of Staff for Senator Obama where he drafted Obama’s first year strategy and wrote the key memo on whether Obama should run for President in 2008. Once Obama became President, Rouse became one of the top few advisors in the White House, even managing the Deputy Chiefs of Staff. Government is one of the key levers for making the world a better place, so learning about it will help you have impact in the future. You can also use your position to learn about important global problems, and make influential connections, both within government and in policy more broadly. The knowledge and connections you gain are especially valuable if you share your knowledge with the effective altruism community, because few people in the community are in government careers. Writing and speaking: For example, you might write policy proposals, and speeches. Political and people skills: You’ll learn how to persuade others and build support for policies. Policy analysis skills: You’ll learn to analyse the costs and benefits of legislation in order to propose changes and advise your member on how to vote. Work in the executive branch: It’s common for ex-staffers to get positions in the executive branch and some go on to senior positions. A few agency directors and deputy directors have experience as staffers, including the deputy director we spoke to. A particularly impressive example is George Tenet, who started as a legislative assistant and eventually became Director of Central Intelligence; overseeing all 16 agencies of the US intelligence community. Become a member of Congress: In a previous article we found that 102 of 535 members of the 114th Congress were former congressional staffers. We estimated that the odds of a random ex-Congressional staffer being elected to Congress at some point in their life were 1 in 330. These odds would be better if we were selecting just those staffers who were aiming at being elected rather than all staffers. Work in a think tank: Government experience can be useful for getting jobs in think tanks, which is a good route to influencing policy. You can read more in our profile on think tank research. If you change your mind about what the most important problems are and how you can have the best impact on them, you’ll be able to move between policy areas, between committees and legislators, and you’ll be able to leave to work in a think tank or the executive branch. If your party is in power, you’ll have better opportunities, such as working for the head of a committee or the Speaker of the House. The success of the legislator you work for also matters – if they become the head of a committee, it will be much easier to get jobs on that committee. If they lose their next election, you’ll lose your job. Therefore, it is important to think carefully about which Members are best positioned to have influence on the problems you care about most (e.g., the Member is already on the authorizing or appropriation committee you are most interested in). Internships are usually unpaid, although there are some exceptions. Sometimes you’ll disagree with the legislators you work for and you’ll have to develop policy ideas that you think are bad. You will also often have to negotiate with political opponents to find compromises. Compromising like this is often essential for having an impact, but it may be personally frustrating. One way to mitigate this is to carefully choose who you work for. You can make sure that you roughly agree with the ideology of the party and the legislators you’re planning to work for. Many Congressional offices don’t publicly advertise open positions, instead opting to almost exclusively hire from their networks or promote from within.25 This means you may have to get your foot in the door as an unpaid intern and then take whatever job you can find. Junior staffers can rise relatively quickly but you’ll likely spend a year or so as an administrative assistant or corresponding with constituents, which can be frustrating because you have so little responsibility or direct impact on policy. We spoke with one person who interned in 2004-2005 and spent much of his time opening the mail — to make sure nobody more important was exposed if a letter contained anthrax! 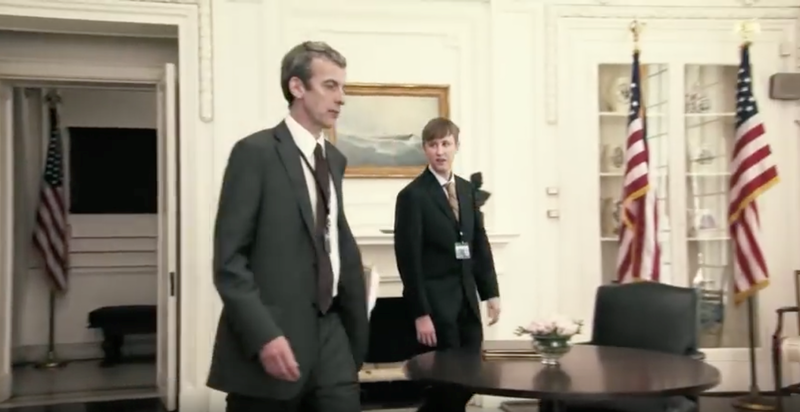 The White House scene from the brilliant 2009 film In The Loop. A study from 2013 found that 80% of congressional staff reported that they were overall satisfied with their current jobs,26 including 40% who were very satisfied. 74% of congressional staff were satisfied with their current offices, including 44% who were very satisfied. Whether you’ll find the job satisfying will depend a lot on your personality. If you enjoy pressured, high-stakes situations then you’ll do a lot better than someone who likes work-life balance and calm focus. Is congressional staffing right for you? Although some staffers work 40 hour weeks, many others often work 12 hour days. It’s a stressful job with lots of tight deadlines, interruptions, and multitasking. Conditions will vary depending on which legislator you are working for, as they run their offices in different ways. Answering phone calls from constituents. Meeting with representatives from federal agencies, lobbyists, constituents, and other congressional staff. Helping your legislator prepare for meetings and media appearances. Developing policy ideas and advising your legislator on them. If you work for a committee, you’ll likely spend much more time researching, writing, and negotiating changes to legislation and less time interacting with constituents. What traits do you need to do well in this career? Being good at networking and building alliances. You need to able to develop good relationships with a wide range of people in a short amount of time; come across as competent and warm in your interactions, genuinely want to add value and help others achieve their goals; consistently follow up and stay in touch with people; and build a reputation and be remembered. Being extroverted helps, but isn’t enough on its own. You don’t necessarily need all these skills when you start out, but you should be interested in improving them. If you find the idea of working on these skills unpleasant, then congressional staffing is probably not for you. These skills are important in all parts of government, but they’re even more important in Congress. This is because power is much more decentralised in Congress than it is in federal agencies, and so to get things done you have to build coalitions and agreements between a larger number of people, who each have different incentives and agendas. Capacity to deal with processes that are very slow. You need to able to tolerate slow moving bureaucracy, while at the same time having enough impatience so that you get things done. Unfortunately it’s hard to know how well you can tolerate bureaucracies without experience working in them, though being patient may be a positive indicator. You also need to be okay with some lack of career stability. Political conditions can mean you lose your job or find it hard to progress. We also get the impression that people often leave after a few years and don’t tend to see congressional staffing as a lifelong career. As an aside, if you happen to have a family member who is already successful in politics, you have a much better chance of success. Some research by the New York Times suggests that children of senators have perhaps a one in 47 chance of becoming senators, and children of governors have about a 1 in 50 chance of becoming senators. How does it compare to other related options? At its most senior levels, the executive branch seems to have a larger number of high impact positions than Congress. So in the long term, we think people should probably aim for positions in the executive branch. But if you’re straight out of an undergraduate degree, starting off in Congress is a good launching point for your career. Knowing how to navigate Congress and being able to make things happen there is an important skill set, and people in the executive branch highly value people who can do this. If you have a master’s, JD or another advanced degree and are about to graduate or have just graduated, then you’re eligible for the Presidential Management Fellows program, which places you in a federal agency with the aim of accelerating you into government leadership positions. If you get a position in this program, it’s probably worth taking over most congressional staffer positions unless you get a position on a particularly relevant committee in which case it may be a difficult choice. Similarly, STEM PhDs should consider the AAAS Science & Tech Fellowship over becoming a congressional staffer directly, though some AAAS Fellows are assigned to congressional offices as part of the fellowship. These are good alternatives if you would prefer to spend most of your time doing research rather than working with people. Read our profiles on think tank research and valuable academic research for more information. One way to enter is to start at the most junior level, often with an internship, and work your way up. You’ll need a college degree, but it can be in any subject. The other main entry route is to first get policy expertise and then take a more senior role, such as on a committee in your area of expertise. You can build policy expertise through graduate study or working in federal agencies, think tanks, or industry. It’s common to combine these approaches: work as a junior staffer for a few years straight after your undergraduate degree, then get a graduate degree or other experience. Bear in mind that you shouldn’t be aiming solely at becoming a congressional staffer. Given that there are often high impact positions in other areas of government, your strategy should be more to gain a combination of government experience and policy area expertise. It’s important to build up expertise in pressing problem areas so that you can get high-impact positions and have enough understanding to develop good policy. You can do this through graduate degrees and work experience, which we’ll cover in turn. If you get into one of these programs, it’s probably worth doing over most entry level congressional staffer positions. A science or technology PhD can also be a good choice. Science and technology expertise is important for working on high priority problems that involve emerging technology, such as biorisk and AI safety. Also, there aren’t many people with strong technical backgrounds looking to work in Congress so you will have an advantage when trying to get a job with your preferred committee. Many science and technology PhDs also give you good backup options if your policy career doesn’t work out. Read our profile on machine learning PhDs if you’re interested in going into AI policy. If you’re interested in biorisk it may be useful to do a PhD in a field like epidemiology. Economics is also a good option because it gives you a lot of good backup options. You can read more in our profile on economics PhDs. Law degrees are common in politics. Graduates of the T14 (the fourteen law schools widely regarded as the most prestigious) and Georgetown Law are well represented on the Hill.29 However, unless you get into Yale or Harvard, whose alumni are particularly well-respected on the Hill, we think that other degrees probably have better backup options while still being as useful for staffer careers. Generally you should aim for the most prestigious program, and ideally one located in or near DC so you can meet policy-makers while you study. You can build up additional policy expertise after your studies by working in think tanks (see our profile on working in think tanks), the executive branch, nonprofits, or industry. Read our guide on how to get a job and how to build connections. Don’t publish controversial opinions on social media or do anything else that could make you look bad. Congressional staffers are in the public eye, so doing so could prevent you from getting a job. Networking is vital in any industry, but is particularly important in politics. It can help you both find jobs and find out what the best places to work are. Start with people you know who live in DC or who might have connections there and ask them for introductions. If you can, move to DC to make this easier. Your first job is mostly about getting your foot in the door – but it’s still a good idea to think ahead. If there’s a committee you’re interested in, see if there’s a way to get to know the chairman or staff director. For example, if you work on the personal staff of a committee chair you are more likely to be appointed to committee staff. If you’re currently at university or were recently, you should do an internship or fellowship. There is a lot of advice in this guide on how to get congressional staff jobs and internships, targeted at people in law school. You can find a list of congressional internships here. Congressional fellowships can also be useful. They will place you in members offices or committees and often provide other benefits such as training or networking. One of the best is the AAAS Science and Technology Policy Fellowship. It places people with scientific and technical expertise into the offices of Members of Congress and House and Senate committees for a year, providing a stipend of $75,000 to $100,000. It’s open to people with either a PhD in the sciences, or a masters in engineering along with work experience. You can find more by googling for ‘congressional fellowship’ or searching the fellowship databases listed at the bottom of this page. Once you are on your internship, there are several guides on how to make the most of it. This guide from political website Roll Call, this guide from the Congressional Management Foundation, and this book will help you stand out. How do you excel and have impact once you’re in? Where should you aim to work in the long run? Work in the parts of Congress that have the most influence on pressing problems. The best place for influencing legislation on pressing problems is probably the committees that cover the relevant policy areas. Most of the work of negotiating and drafting legislation is done within committees, and they write budget legislation for the agencies that they oversee. Below we’ve listed the committees and subcommittees that seem most relevant to our priority problem areas. You can find a complete list of committees here. Committees and subcommittees listed are in both the House and Senate unless otherwise stated. Within the committee staff you should aim for the most senior legislative positions. The Staff Director is the most senior, but other positions such as Professional Staff can be very influential. Leadership staff help the politicians who lead Congress, such as the Speaker of the House, with their duties. We don’t know much about what they do or how influential they are, but it seems plausible they could be powerful. Usually people move into leadership staff by working in either personal staff or committee staff first. How powerful are they? Where are they in the committee hierarchy and how much political influence do they have in the party? Are their policy interests relevant to pressing problem areas? Are they are a good person to work for according to people who’ve worked for them? This article ranks which legislators have the best and worst turnover, although it’s from 2012. Are they in the House or Senate? The senate is probably best. Individual senators tend to be more influential than individual representatives and personal staffers in the Senate are often more specialist and so can build up more problem area expertise. You also might have more job security in the Senate because senator’s terms are 6 years, as opposed to 2 years in the House. However, Senate staff teams tend to be larger so you will have proportionally less influence on the senator. How should you build career capital on the job? You should be therefore be concentrating on these types of career capital. Two things that can help you with this are finding a mentor and networking with experts. As well as your own expertise, it’s helpful to seek out outside experts in your policy area who can give you good ideas. Part of a staffer’s role is to find experts who can then present evidence to legislators, and having a good network will help with this. You might try to get to know people in think tanks, federal agencies, industry, and academia. It might also be helpful to get involved with the effective altruism community, which includes some people with expertise in high priority problem areas. We still have some key uncertainties about this career path, which are worth looking into if you are considering becoming a congressional staffer. How much better is it to work in the Senate than the House? To what extent are you limited to a particular policy area once you’ve built expertise and work experience in that area? How valuable is a STEM PhD for getting committee positions in science and technology policy? How valuable is it to be in leadership staff, and what’s the best path to get there? How can you learn how to make good policy? Or join our newsletter and get notified when we release new career profiles. Waxman, Henry. The Waxman Report: How Congress Really Works. Twelve, 2009. “Our main finding is that lobbyists connected to US senators suffer an average 24 percent drop in generated revenue when their previous employer leaves the Senate. The decrease in revenue is out of line with preexisting trends, it is discontinuous around the period in which the connected senator exits Congress, and it persists in the long term. Measured in terms of median revenue per staffer-turned-lobbyist, this estimate indicates that the exit of a senator leads to approximately a $182,000 per year fall in revenues for each affiliated lobbyist. We also find evidence that ex-staffers are less likely to work in the lobbying industry after their connected senators exit Congress. ‘Despite Gingrey’s comments, middling staffers with 10 to 12 years of experience would be lucky to get $300,000 and are more likely to fetch $150,000. “There is a certain amount of hyperbole of salaries leaving the Hill, but your average person coming off the Hill is not likely to strike it rich,” said Doug Pinkham, who heads the Public Affairs Council, a trade group for public affairs professionals. “In 2004, after six years as a banker, she decided it was time to try public service in Washington. This was a presidential election year. “My thinking was, as an outsider—I didn’t have any contacts in Washington—there is usually staff turnover in big presidential years, so it would increase the chances of an unknown like me with no contacts or sponsors to get my foot in the door.” It wasn’t so easy. Eventually she volunteered for John Kerry’s presidential campaign and befriended two of Kerry’s speechwriters, who helped her find a job at the Democratic Senatorial Campaign Committee. Seven months later she was hired by the Democratic Policy Committee, which provided substantive staff work for Democratic senators and their offices. In this job she could exploit her experience in the financial world. “Tenet, 48 a hefty, outgoing son of Greek immigrants, was having a leisurely breakfast at the St. Regis Hotel, three blocks north of the White House, with the man who was most responsible for his rise in the world of secret intelligence -former Oklahoma Democratic Senator David L. Boren. The two had struck up an unusually close friendship going back 13 years when Tenet was a mid-level staffer on the Senate Intelligence Committee, which Boren chaired. Boren had found Tenet to be a gifted briefer and had jumped him over others with more seniority to make him staff director, a post which granted him access to virtually all the nation’s intelligence secrets.